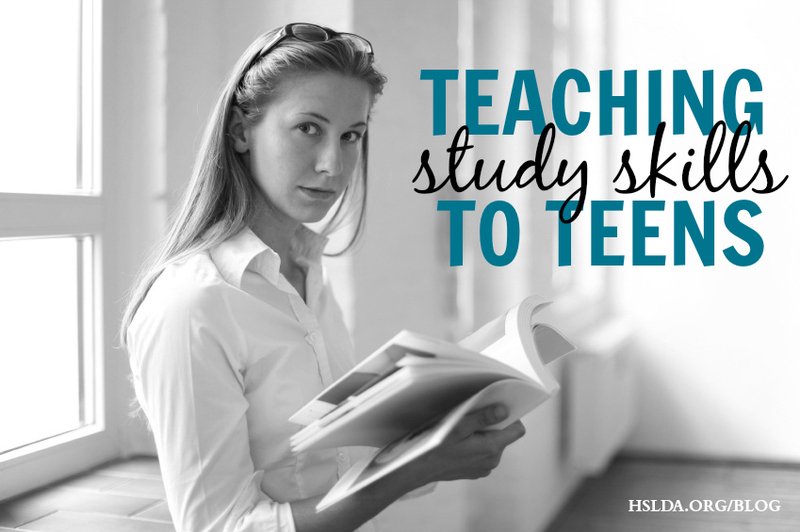 As you prepare your teens for their post-high school plans, take time during your school day to teach study skills. These skills will be helpful whether your teen enters the work force, enlists in the military, or enrolls in a college or trade school. Let’s take a look at some of these important study skills and helpful resources. Note taking skills can be practiced by having your teen take notes during your pastor’s Sunday sermon or while watching an educational video. The ability to take notes well will be useful in a school setting, but also in other settings. For example, taking notes is helpful when reading through a science or history lesson, listening to a professor’s lecture, comparing sales pitches when buying a new car, or while listening to a presidential debate! Teach your teen how to organize notes by using subject titles and subtitles, and by using bullets or numbers to identify key points. Other note taking tips can be found here. Organizational skills will benefit your teens throughout their lives. You may want to help your teen organize his school work by having him keep a binder with sectional dividers and filing assignments according to date. Although an easy thing to do, this type of organization will cut down on the time spent looking for schoolwork and also improve efficiency! Teens love to do their school work on the family room couch, upstairs in their bedroom, or outside sitting on the picnic table. But, encourage your teen to keep all of his school supplies (rulers, notebook paper, calculator, atlas, dictionaries, and so on) in a plastic crate or other container so that valuable time is not wasted each day on a scavenger hunt tracking down necessary items! For more organizational tips check this out. Setting realistic goals is a habit to reinforce with your teen. Make sure they keep an assignment book detailing deadlines for school work, and also a personal calendar to keep track of all of activities. At regular intervals help your teen evaluate how well they are doing in managing time. Teach your teen how to break down a project or research paper into manageable segments to ensure that they keep on track and make progress towards the finish line. Goal setting (and meeting goals!) is a motivator, and your teen will enjoy checking off items that have been completed. A simple goal setting task sheet can be found here. As a final thought, bear in mind that your teens will need your help and reassurance to hone these study skills. Don’t expect perfection, but know that over time your teens’ study skills will improve, and they will reap rewards as they put these skills into practice. Photo Credit: Photo via Microsoft Images, graphic design by Charity Klicka.